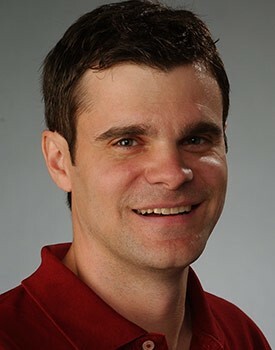 Robert Wilson, associate professor of geography, has been named one of 31 fellows at the Rachel Carson Center in Munich, Germany, for 2015-2016. He will be in residence at the center in spring and summer of 2016 completing a book titled “Forging the Climate Movement,” which examines the coalition of environmental groups, social justice activists and climate scientists in the United States that have formed alliances to address climate change. Wilson’s areas of expertise include historical geography and environmental history, environmental social movements, animal geography, water resources and management, and the North American West. He is the author of “Seeking Refuge: Birds and Landscapes of the Pacific Flyway” and his articles have appeared in Environmental History, the Journal of Historical Geography and the Annals of the Association of American Geographers. In 2008-2009, he was a visiting fellow at Stanford University’s Bill Lane Center for the American West. The Rachel Carson Center is an international environmental studies research center created to strengthen the role of the humanities and social sciences in political and scientific debates about sustainability. Members of the new cohort represent 10 states in the United States and countries that include Australia, France, Germany, India, Brazil and South Korea. Prof. Grant Reeher on the presidential debate: Game on!